You have hit The Near Post -- the best place on the web (and maybe anywhere) for soccer news and talk . Mostly we talk Ohio soccer, but anything is fair game. Whether it's high school, club, rec, pro or college, discuss it all here-- Players, formations, match previews and reviews, laws of the game, coaching decisions or anything else, take your shot. Coaches, referees, players, parents and fans...you all are welcome. Guests can view the mesasage board, but you must be a member to post. You can join when you click through to the forums. Membership is free and always will be. 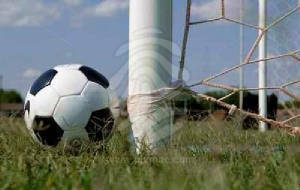 The Near Post brings you helpful websites to encourage your enjoyment of the game! 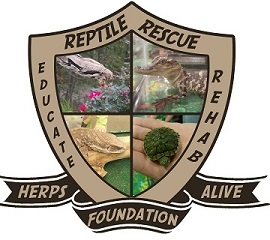 The Herps Alive Foundation is a public charity dedicated to saving, rehabilitating and caring for unwanted, neglected and abused reptiles and amphibians, and to finding new homes for them when possible; with an emphasis on educating the public about these remarkable animals. (www.herpsalive.org goes live soon). Get Your Near Post T-shirt Today! NEW! 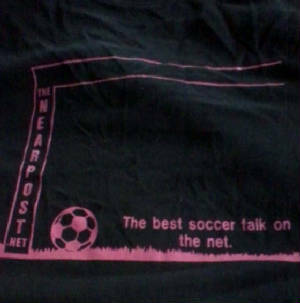 Black t-shirts with raspberry (okay, pink) logo and slogan "THE BEST SOCCER TALK ON THE NET," are in!